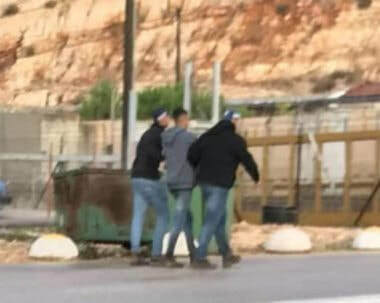 Israeli soldiers abducted, earlier Thursday, a young Palestinian man near Barta’a military roadblock, southwest of Jenin, in the northern part of the occupied West Bank. Eyewitnesses said the soldiers, in civilian clothes, ambushed and abducted the young man, who remained unidentified at the time of this repot, near the military roadblock. The undercover soldiers then took the young man to the soldiers at Barta’a military roadblock, before he was moved to an unknown destination. In Ramallah, in central West Bank, the soldiers invaded a printing press in the Nahda Street, in the center of the city, and confiscated printing equipment and various posters. Many Palestinians protested the invasion, and hurled stones at the soldiers, who fired rubber-coated steel bullets and gas bombs. Israeli bulldozers continue to level Palestinian lands in Nablus in an attempt to expand the illegal settlement outpost of Esh Kodesh, built on land tracts owned by the Palestinians in Jaloud town, south of the city. Anti-settlement activist Ghassan Dughlas said settlers from Esh Kodesh continue to bulldoze land in order to establish an access road and build more settlement units in the northern zone of the outpost. Dughlas said underway works to expand the Israeli settlements of Ahiya and Esh Kodesh fall in line with the recent measures opted for by the Netanyahu government to boost illegal settlement expansion in favor of over 1,100 new settler families. He added that Israel’s settlement bloc has been expanding on large Palestinian tracts, and, thus, destabilizing the geo-demographic character of the occupied West Bank. 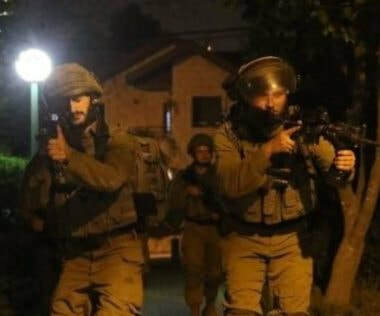 A number of Palestinians were kidnapped and civilian homes ravaged by the Israeli occupation forces (IOF) at daybreak Thursday in abduction sweeps rocking West Bank provinces. Israeli patrols rolled into the Jenin refugee camp and ravaged civilian homes, before they kidnapped a Palestinian citizen. Clashes burst out in the area. 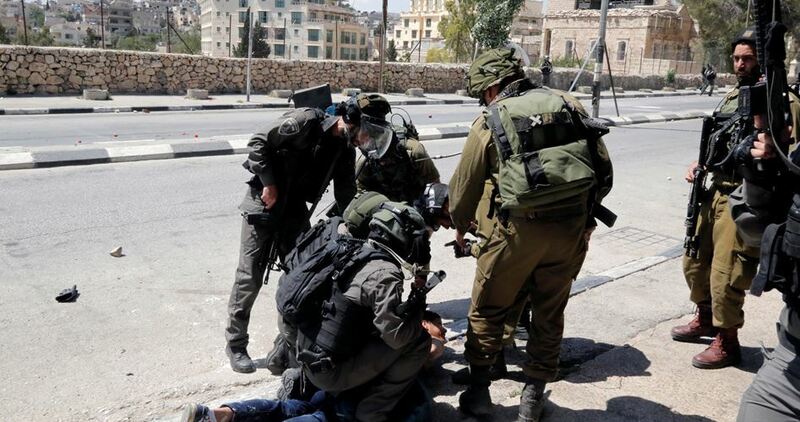 Israeli soldiers opened fire at Palestinian anti-occupation youth, leaving a protester wounded. The latter was rushed to the Jenin public hospital for urgent treatment. At the same time, the occupation forces sealed off the Jaba’ thoroughfare, south of Jenin, with a makeshift checkpoint, resulting in traffic combustion. 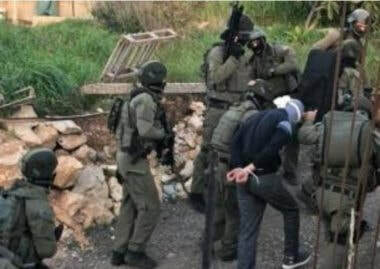 Meanwhile, the IOF raided al-Khalil province and kidnapped five Palestinians, before they dragged them to the Etzion detention center, north of the city. Israeli soldiers broke into the homes of Dr. Adnan Younes and his relatives and subjected the inhabitants to intensive questioning, without prior notices. The IOF seized his son’s vehicle and smashed the families’ furniture. At the same time, an Israeli patrol stormed the home of Palestinian MP Mohamed al-Tal in al-Dhahriya, southwest of al-Khalil, and exhaustively interrogated him. The occupation forces rummaged into civilian homes and showered the area with heavy barrages of bullet fire. A few hours earlier, the IOF stormed the family home of Palestinian MP Hatem Qufeisheh and summoned him to questioning at the Etzion detention center. He was released hours later, following intensive interrogation. 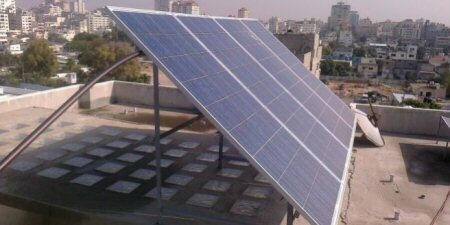 The authority pointed out that energy projects are licensed by the Energy Authority on A areas of the West Bank, which fall under compete Palestinian control, after confirming the safety of the specifications of these projects to ensure that no negative impact on the network. “As we seek to strengthen the efforts of the Palestinian leadership and its government to liberate the land and people from Israeli occupation on our Palestinian land by strengthening the national policy agenda for the energy sector in Palestine, which aims to create an independent energy sector and a free electric market free of dependence on the Israeli occupier, Including the transfer of powers to manage the electricity sector of the Palestinian side, according to the recent agreement signed between the two parties, but the occupying state is constantly seeking to undermine these endeavors by devoting the role of the “civil administration” and its plans for seeking to keep the principle of subordination to them, and disable all that would be the sector free from their agenda, which is far from the interests of our people,” statement concluded, according to PNN. Israel's Magistrate Court of Jerusalem on Wednesday ordered the eviction of a Palestinian family from their property in Silwan town, south of Occupied Jerusalem. Wadi Hilweh Information Center reported in a statement that the court decision gives the family (the heirs of the late Mariam Abu Zuweir) a time limit until March 2019 to evacuate the house. The targeted property is a house where a Palestinian woman, Ilham Syam, and four of her children live, in addition to a 500-square-meter land. Wadi Hilweh Center said that the Magistrate Court issued the eviction order before a session appointed by the Supreme Court on 8 January to decide the ownership of the land. Documents were submitted to the court stating that the land on which the house is built belongs to the late Jamil Syam and not to the late Abu Zuweir. Abu Zuweir's heirs have been engaged in a conflict at Israeli courts for 22 years to prove their ownership of the property and to refute the claims of the Elad Settlement Association. Nehad Syam, one of the heirs, explained that over the past years, Elad has worked hard to seize the property in a number of ways. Syam said that after several court sessions, it was found out that Elad had bought 4 shares from the heirs in addition to two shares under "absentee property," leaving only two shares for the late Munira Abu Zuwier and her sister Fatima. 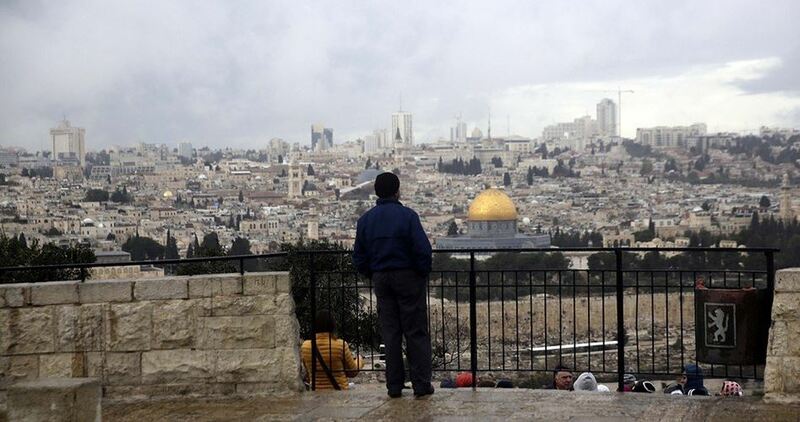 A decision to evict the family in favor of the settlers was issued on Wednesday, he added. He pointed out that the family will object to the eviction order at Israel's Jerusalem District Court. The Israeli occupation authority (IOA) plans to establish another huge settlement bloc in western Salfit in the West Bank through connecting several illegal settlements with each other with more housing units and infrastructure projects. 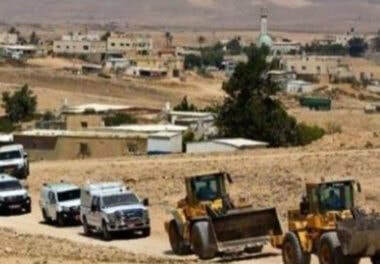 In this regard, local sources in Salfit told the Palestinian Information Center (PIC) that Israeli bulldozers embarked on bulldozing and leveling a vast tract of Palestinian land in western Salfit in order to build those housing units and infrastructure projects. According to the Hebrew pro-settler website Arutz Sheva, the Israeli interior ministry decided to establish a new settlement city through amalgamating four settlements located west of Salfit and south of Qalqilya. Those four settlements are Elkana, Sha'arei Tikva, Oranit and Etz Efraim. 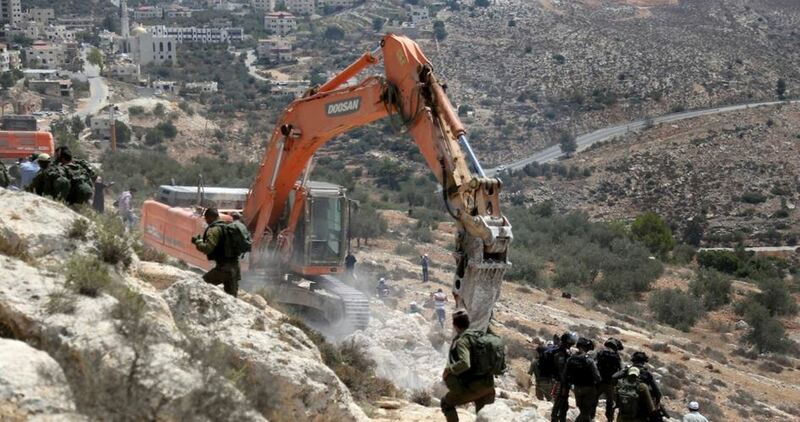 Israeli bulldozers demolished on Tuesday a number of Palestinian facilities in Beit Hanin, Jabal Mukabber, and Sur Barhir in occupied Jerusalem. 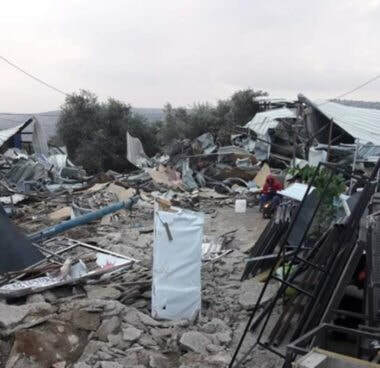 Local sources said that Israeli forces along with bulldozers stormed Beit Hanin town and demolished a commercial facility after confiscating building materials. 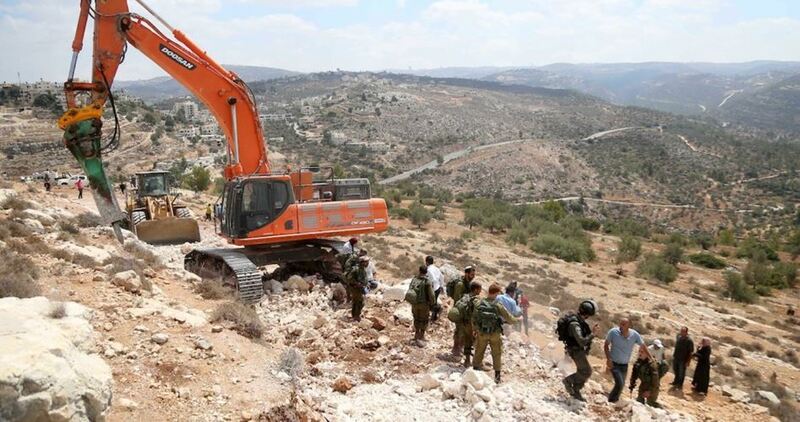 The Israeli bulldozers carried out the demolition for being allegedly built without permit. At the same time, a large unit of Israeli police stormed Jabal Mukabber neighborhood and cordoned off a house under construction before bulldozers demolished the house under the pretext of being built without a rarely-issued Israeli license. Police reportedly restricted Palestinian movement in the area and assaulted Palestinians who attempted to fight back against bulldozers. 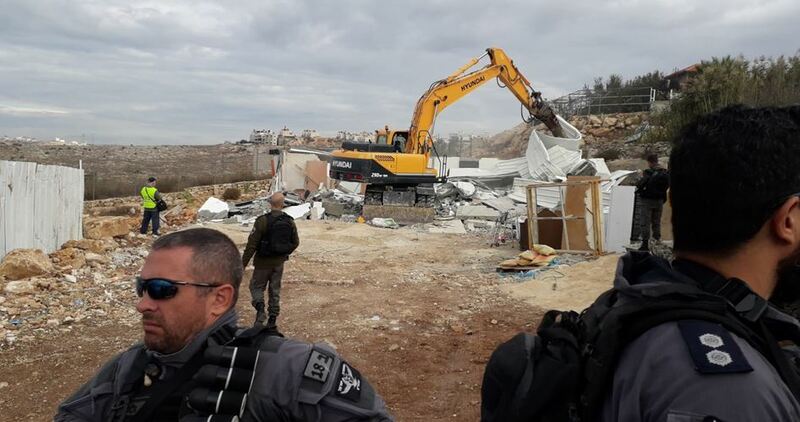 Also in occupied Jerusalem, Israeli bulldozers demolished a newly built house in Sur Bahir town for being allegedly built without Israeli permit. Earlier Sunday, Israeli authorities forced a Palestinian family to demolish newly-built premises at their house in Jerusalem’s Silwan town, south of al-Aqsa Mosque. Using the pretext of illegal building, Israel demolishes Palestinian houses on a regular basis to restrict Palestinian expansion in occupied Jerusalem. The Israeli occupation on Tuesday forced a Palestinian family to demolish newly-built premises at their house in Ein al-Lawzeh, in Jerusalem’s Silwan town, south of al-Aqsa Mosque. The demolition targeted a park, a storeroom, and a staircase built for family usage. The house owner Ahmed Seyam was given no more than 48 hours to demolish the new structures. At the same time, Israeli bulldozers demolished a Palestinian house under-construction in Jabal al-Mukkaber, southeast of occupied Jerusalem. 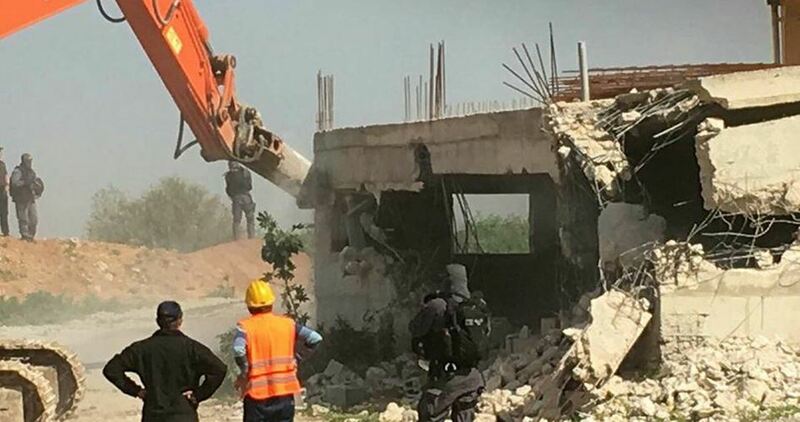 A large police unit stormed the neighborhood and cordoned off the house under construction before bulldozers proceeded with the demolition under the pretext of unlicensed construction. Police reportedly restricted Palestinian movement in the area and assaulted Palestinians who attempted to protest the demolition. At the same time, the municipality and government build tens of thousands of housing units in illegal settlements in occupied Jerusalem for settlers in an attempt to offset the demographic character of the city. Palestinians living in the Israeli-occupied territories are discriminated against in all aspects of life including housing, employment and vital services.